Lucien Zabuski, aka Zabu, was the original vocalist for Magma, prior to the enlistment of Klaus Blasquiz. This is his first post-Magma solo album, which showcases his unique gravelly voice in a blues setting. The album is quite good, but it should be noted this is a blues-rock album, nothing particularly progressive here, and nothing that connects it with the Magma sound, despite the fact that it features Magma alumni Christian Vander, Francis Moze, Jeff Seffer and Teddy Lasry on a few tracks. Note that Zabu also contributes one live track to the Puissance 13+2 compilation (reviewed elsewhere in this issue of Exposé). This is a highly unusual Musea release. 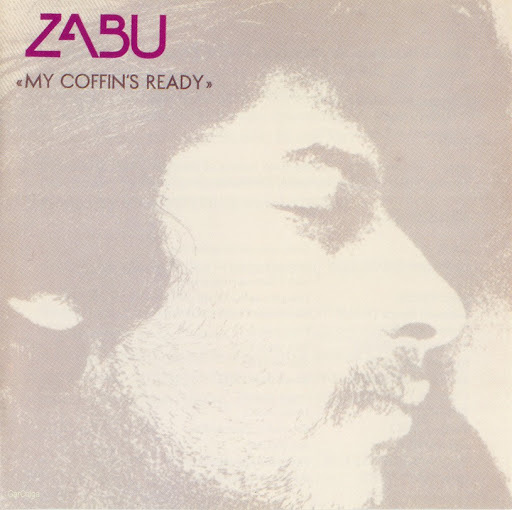 The bulk of the music on My Coffin’s Ready is blues rock! Even though Zabu’s band consisted of his Magma cohorts, most of the music on this CD is in the southern rock style similar to the Allman Brothers, Lynnrd Skynnrd, and the Marshall Tucker Band, music I never thought to hear on the Musea label. The one departure from this form is the jazzy "Silent Angel" that sounds like Zao. Zabu also has a guttural voice like Ergo Sum’s Ledissez but it is much more palatable to my ears. My Coffin’s Ready is a curious release that is available more for historical reference than anything else. Unless you are a Magma completist or a fan of southern blues rock, this reissue is probably not for you.